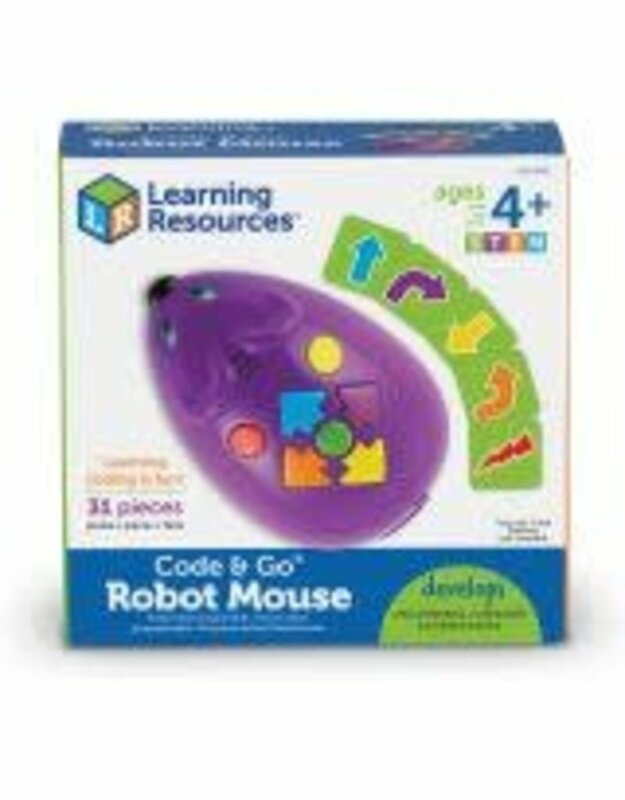 Jack, the fully programmable robot mouse, is ready to follow commands to teach hands-on coding concepts! Create a step-by-step path for Jack using the 30 double-sided coding cards to provide the perfect introduction to coding concepts. Jack lights up, makes sounds, and features 2 speeds and colorful buttons to match coding cards for easy programming and sequencing. Set includes Activity Guide. Jack can also be used with the STEM Robot Mouse Coding Activity Set (LER 2831) for more play options, learning opportunities, and fun! Jack measures 4"L and requires 3 AAA batteries (not included).